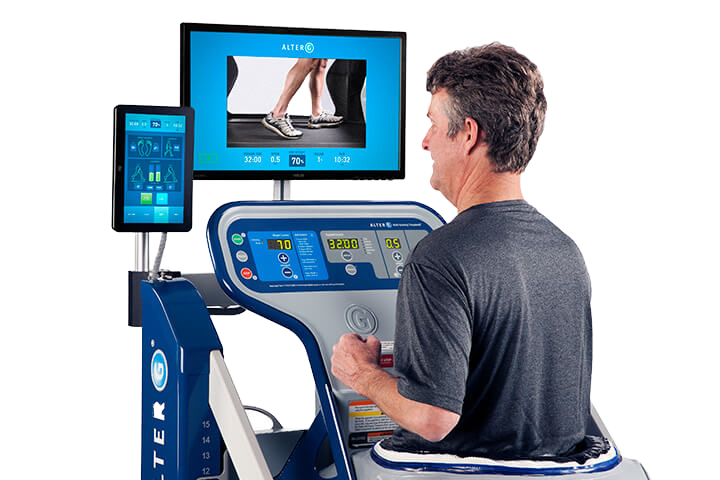 The Alter G Treadmill is an innovative new way for individuals to improve their lifestyles, and stay fit and healthy. The Alter G lessens the stress on joints by reducing the impact of gravity by selecting any weight between 20% and 100% of your body weight by 1% increments. Because of these unique UN-weighing capabilities the Alter G allows you to walk or run with no pain while maintaining a normal gait. 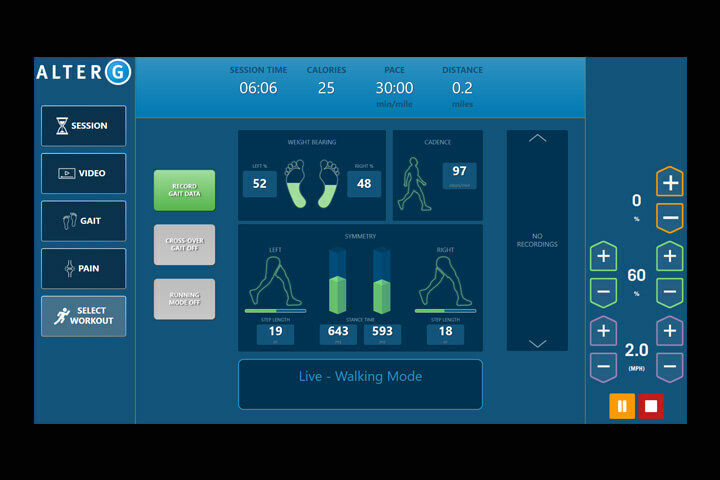 "Changing the way athletes and diverse patient populations rehabilitate and train"
By integrating gait analytics and pain recording with AlterG’s precision unweighing system, Stride Smart helps clinicians make better decisions and corrections on the fly. With Stride Smart, you can see the direct effects of gravitational loading and unloading to optimize rehab in a wide variety of clinical applications. Better still, convenient reporting features can help you meet increasing requirements for demonstrating quality of care and medical necessity. Patient/athlete and therapist/trainer collaboration is one of the keys to successful rehabilitation. The Digital Video Monitoring System (DVMS) helps clinicians communicate and build a shared understanding of therapeutic goals by showing patients gait asymmetries they may not feel. With the Digital Video Monitoring System you have the ability to record and play clips in stop, normal speed, or slow motion – so patients and athletes can see their actual movements, enabling on-the-fly corrections to gait and stride. The result is improved motor learning and faster, better outcomes.